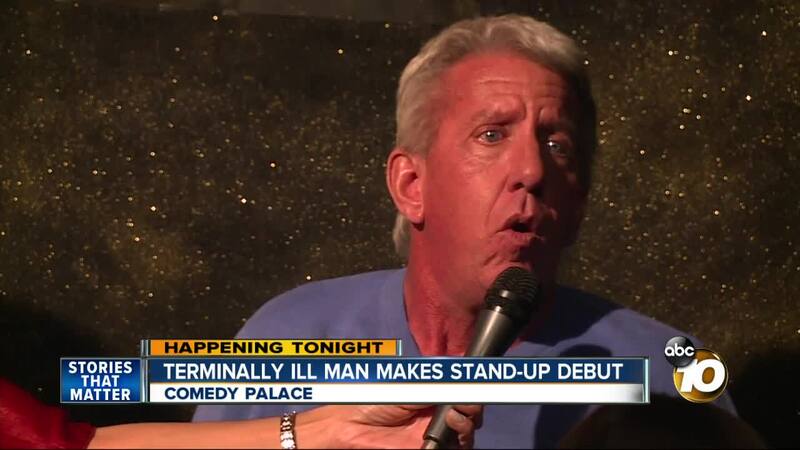 His performance comes just weeks before his death. SAN DIEGO — It's a nerve-racking place: on stage, behind the mic, looking out at a sea of people waiting for your punch line. 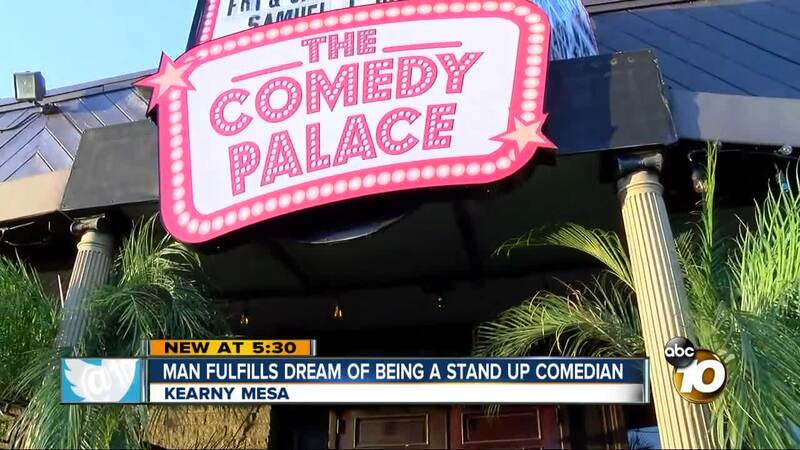 The Comedy Palace in San Diego sees many comedians but not like the one who performed Friday night. "It was something I thought about even in college but lacked the courage to do it," said Michael Schmid. "I always loved to make people laugh." Schmid always had the passion, but it was a recent visit to the doctor that gave him the courage he had been lacking. "If not now, when?" Schmid said. Three years ago, he was diagnosed with primary lateral sclerosis, a condition similar to amyotrophic lateral sclerosis, or ALS. "It had spread to my upper body and becoming more quadriplegic," Schmid said. One month ago, he made the toughest decision of his life. "The most difficult thing I ever had to do in my life was to talk to my children about ending my life," he said. Schmid says he will end his life on December 27, citing severe pain. He shared the date with one of his favorite comedians, along with a dream and a request for help. "My initial response was 'We're going to make this happen,' " said Lisa Alvarado. Alvarado talked with some friends in the industry to see if they'd help make Schmid's dream of performing come true. "I'm talking comics with Netflix specials, Comedy Central specials," Alvarado said. In one month, the group developed a 15-minute standup comedy routine for Schmid to deliver Friday night. Many of the professional comedians were in the audience as Schmid performed in his wheelchair with Alvarado holding his microphone. After the performance, Schmid's father made his way to the stage to give his son a hug. "I never expected him to do that and show the world we're close," said Schmid. Schmid's ex-wife and his four children were also in the audience. "No matter how crappy of a hand he's been dealt, he's taken it with a joke," said Schmid's son Joshua. Schmid is grateful he had a chance to laugh. "I want my friends and family to have at least that memory when I'm gone," Schmid said. "Do not just give up where you're at ... always strive and reach for something else." "Even if it is the end of your life," he said, "you can be more than you are right now."